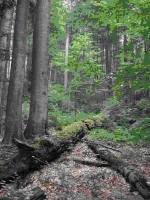 Slovak forests are habitats for many typical middle European mammals. Hunting is a long tradition in the country. 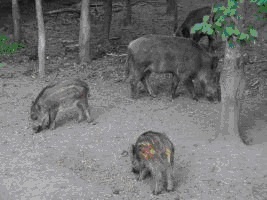 The main species are: red deer, roe deer and wild boar. There is a large number of introduced species such as mouflon and fallow deer. Small animals can also be found such as European hare and European rabbit, as well as feather animals such as pheasant (200 ths) and partridge. Populations of large predators, such as bear, wolf and lynx have statistically increased in the past few years. According to data, more than 1,000 bears, wolves and lynxes live in Slovakian forests. The population of other rare game species has also increased, except for capercaillie whose population has decreased. Hunting of rare game species (e.g. brown bear, European wolf or European lynx) is strictly regulated in Slovakia. Although every year hunting of 50-60 bears is permitted, only 10-20 bears are actually killed. 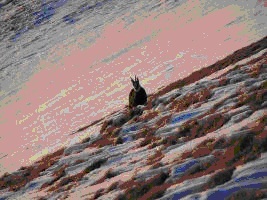 On the other hand, the number of chamois has increased to 600-700 individuals. 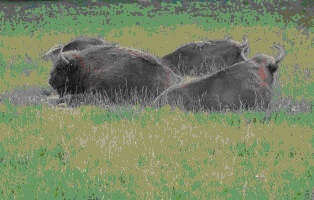 There are only a few wild herds of European bison in open air. 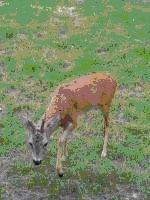 In 2001, protection programmes for 2 animal species – Emys orbicularis, and Rupicapra r. tatrica, were developed. Moreover, supporting material for protection programmes for another 2 animal species - Umbra crameri and Aquila pomarina was developed. 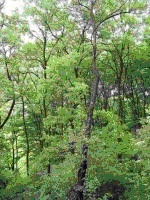 In Slovakia there are various ecological conditions, which create diverse forest types with their own typical vegetation. The main tree species which create altitudinal vegetation zones are: sessile oak, European beech, silver fir, Norway spruce and dwarf pine. In Slovakia, we can distinguish eight altitudinal vegetation zones: Oak, Oak-Beech, Beech-Oak, Beech, Beech-Fir, Spruce-Beech-Fir, Spruce, and Dwarf pine. Sessile oak has its ecological and production optimum in the 3rd altitudinal vegetation zone. European beech has its ecological as well as production optimum in the 4th altitudinal vegetation zone. 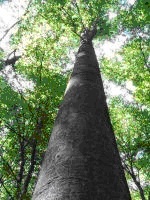 However, beech can grow quite well on various sites in various altitudes. In some cases, under the appropriate conditions, it even reaches at the timberline. European beech very often forms forest stands with silver fir which on the contrary has a narrower ecological amplitude. 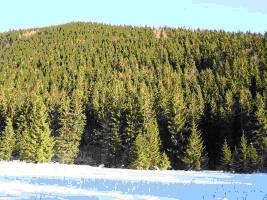 Norway spruce dominates in higher elevations and it is the main species found at the timberline. It has its production optimum in the 5th altitudinal vegetation zone, where the long growing season and the sufficient amount of precipitation create the appropriate conditions for spruce to grow. At the timberline, Norway spruce neighbours with dwarf pine. Dwarf pine dominates in the 8th altitudinal vegetation zone, although, in lower altitudes, it can grow sparsely with spruce. As in other countries, in Slovakia, there are several endangered flora species under state protection. Totally, there are about 800 taxons under state protection (according to a Resolution of the Ministry of Nature Conservation of Slovak Republic). There are 220 endemic vascular plants. 7 fungus species, 140 lichens and 95 bryophytes are critically endangered. Endangerd vascular plants account for 30%. 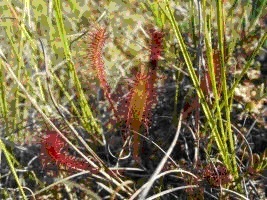 In 2001, protection programmes were developed for the following vascular plants: Drosera anglica, Orchis coriophora, Ophrys holubyana, Rhynchospora alba, Lycopodiella inundata, and Scheuchzeria palustris. The following tree species have been introduced in Slovakia: Douglas fir, Black locust, Euroamerican poplar (almost 0,5%), Grand fir, Eastern white pine, Red oak, Sweet chestnut, Horse chestnut and Box alder. Black locust covers a proportion of almost 2%.